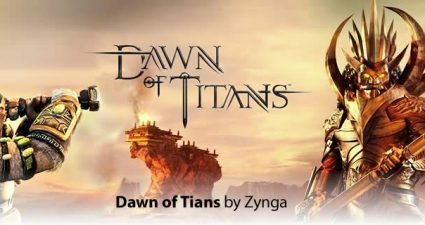 Dawn of Titans by Zynga produced by NaturalMotionGames Review & Ratings! Review of Dawn of Titans, a MMO, Mobile Strategy, single and multiplayer game produced by NaturalMotionGames Ltd. 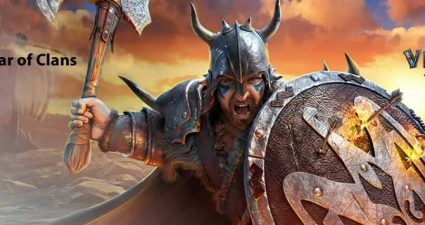 Dawn of Titans is a mobile startegy game with impressive graphics allowing users to play for free. While there are in app purchases available it is one of few games introduced that is focused on the game and not monetization (Very much unlike Vikings war of clans where though the game is interesting you can't really keep up unless you spend a lot of money and then later find out the game is pretty stale as many players sit shielded doing nothing but to protect their investment). You can easily grow your account and troop and Titan strength and capabilities without spending any money. It has a lot of activities including attacking other accounts, several campaigns and tasks that are still very engaging and within the game subject in another word you don't find those tasks where you sit and click buttons for no reason. Each campaign or attack you strategize not only with troop type but also you can very your attack style direction and other skills. There are many areas of growth, your Titan uses Titan XP, and that is through attacks, your account grows as well through XP, your troop's growth is dependent on your buildings upgrading the armory lets you increase the level of your human troops and the other races have their own buildings. Upgrading the barracks lets you train more troops and The Army Camp building controls your inventory and battle slots and the Garrison is for the troops that defend your city and upgrading it allows for more troops and higher level of troops. Mind higher level titans and troops not only help with attacks and defense but they have a positive influence in producing resources like food and gold in your lands. In order to make this all happen you need to upgrade your food and gold reserve as well as the food and gold storage. In order to build buildings or clear new land for buildings you need builder's yard you get the first one but next two you will have to pay with gems. I would not waste any gems on the Eternal Shrine it seems to be purely decorative and does not seem to have any function at least for now. it is comprised of several types of troops, and a hero or Titan and spells in order to do your attacks. In your city you have the usual buildings and resources in order to grow capabilities and strength. The castle, armories, barracks, farms, gold mines etc., You use gems which you get by doing tasks or you can chose to buy if you are impatient. And you constantly participate in events that have prizes. There are relics that you collect which increase powers to your titan troops or buildings. Both titans and relics can be fused to improve capabilities and increase power. Whereas other buildings need to be upgraded to increase the level of your troops and unlock new troop types. The game is rather intuitive yet there are a lot of details designed into it which makes it more engaging. There are different races of titans and troops: Human, Unak, Elithen, Mossmane, Ragnar, and there are many classes and levels of titans which makes the game strategy rather varied. There are also different rarity titans signified by stars. They grow in capabilities both by fusion as well as fighting. The game is definitely engaging, well designed with really good graphics but they do suffer from some server issues and occasionally it is hard to get on or the came freezes, but as announced they are working on it. I have not found the issues to be a big issue. The fact that you control the attacks in itself makes the game more interesting rather than clicking an attack button and waiting to see what happens. You actually have to pay attention to modify startegy and move and change directions, use spells or add reinforcements. The game can be placed individually but it is based on players forming alliances and there are several leagues of players and kingdoms. The basic, bronze, silver, gold, platinum, elite, champion, master and legend league. You do participate in events in order to be promoted to the next league and with each promotion your level of prizes increase. This is actually nice since it moves more active players higher and vice versa those alliances that are less active get demoted down. Besides your account you can acquire other lands which you get to increase the number of as you grow and these lands help you produce three types of resources, food, gold and VIP points which is used for ranking in events. You can either produce VIP points through these lands or attack others to get VIP points. In order to attack you need portal stones these are purple gems that renew and gives you credit for campaigns or attacks or for acquiring lands. The best part of the game is the balance designed into it. You really don't need to shield your account since when you are attacked it is shield. 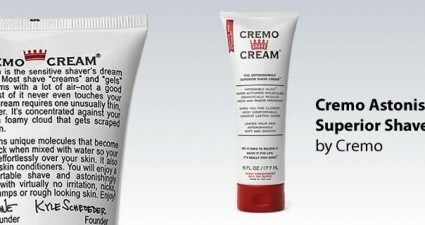 This is nice specially to limit number of attacks and specially bullying which is unfortunately prevalent in war games. So if you don't log in because your busy the results are not disastrous like some other games where they completely zero your account, killing all your troops and taking all your resources. So I really applaud NaturalMotionGames to have come up with a design that balances all these and makes the game more enjoyable. Though it would be nice to add more scenarios for wars. You can obviously change your troops location and strategy even in the same scenario but sometimes in consecutive attacks you get the same war scenarios and that is a weakness they need to improve. The game has a league chat, alliance chat and one to one chat. It seems to have a translator built in not always translating well but it helps it make a more international game. Missing some reporting details that would have been nice like keeping record of your battles. It keeps a list of people who attacked you or your lands but with minimal information who and which land they attacked, yet includes a button for Revenge. It would be nice to see the details of attack what troops they had what titan and what spells were used and what were the losses and effects, this could help users optimize their strategy. It basically tells you what resources were rewarded if the attack was successful.